International students that want to join a regular course at any public or private university in Spain need to be aware of something that may at first sound obvious… Classes are held in Spanish, for Spaniards. Some classes at Universities in Cataluña, Galicia, or the Basque Country may be taught in other Spain’s official languages according to the University’s policy. This, as I said, obvious fact, is often a shock for international students, especially for those who come from countries where the University follows a more personal-student oriented system. There is a total of 149 Higher Education institutions in Spain (including Universities, Business centers and adhered centers). Out of these, 32 are private centers. These prices, however, differ a lot from those of any public University in the USA, and it helps drawing an image of the services that students are going to find. Any USA student is used to receive many more services at home than those he/she’ll find in Spain. Here, there will probably be no time to talk to your professor after the class, or go to their homes in an open doors session, or receive extra help outside of class time. In Spain, professors usually lecture in the classroom, (sometimes) use the websites to post information, handouts and extra resources, and expect the student to prepare the subject with the materials that are available. Grades usually depend on one final exam, and if failing, the student has another opportunity to pass the subject in September/June. 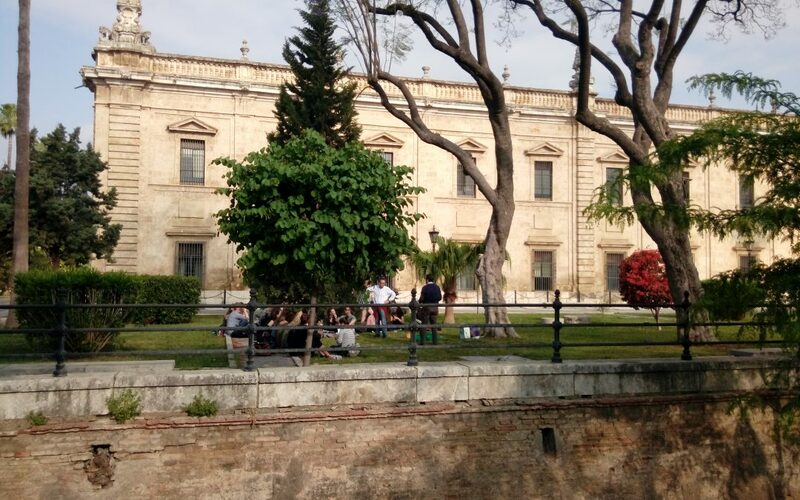 All of this creates a sense of “loose” for the American student that joins a regular course at the University of Sevilla, for instance, and that is why they need continuous support from their Study Abroad program administrators. True, many Universities have a set of high quality courses that have been specifically designed for foreign students. Prices for these courses vary depending on the Office of Internationalization of every University, and cover a big variety of topics, from humanities to business, Law, and a long etc. These courses are sometimes held in English, groups are smaller, and also offer a bigger support to foreign students. Being these ones a much better option since they are specially created for foreign students, they have a great inconvenience: there is no student immersion in the real Spanish University life. Your students will feel better, more supported and more protected, but they will be missing the wonderful adventure of taking a class with locals in the new country’s language.